Thanksgiving is on its way, and if you want to bring some opulence to your table, looking to the past to inspire ideas for the present can result in some dishes your family and guests will never forget. 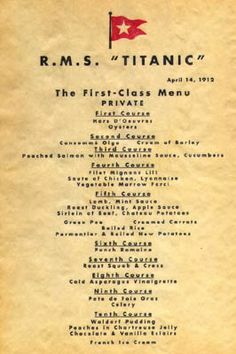 Classic recipe ideas, such as those that are inspired by the menu of the great ocean liner the RMS Titanic, are sure to please even the fussiest of eaters and generate plenty of conversation. If you’re ready to get cooking, there are three recipes that are simple to create, from appetizers to dessert, that will make your Thanksgiving dinner a feast to remember. Setting the scene for your Thanksgiving feast with a classic appetizer can whet your guests’ appetites and give you more time to prepare the main course. One appetizer that is relatively simple to make and provides your diners with something fresh and unique is vodka oysters with chives. This dish is also known as Oysters a la Russe and requires about twenty to thirty minutes of prep time. 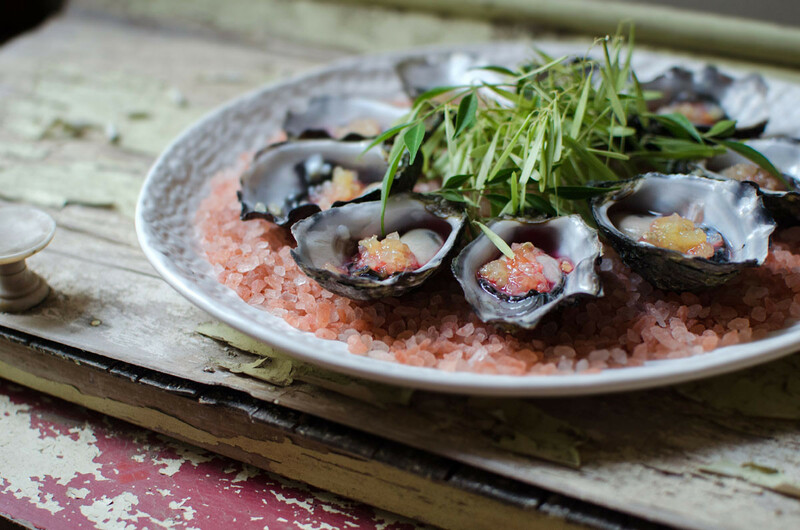 You will need one dozen oysters to serve twelve people, vodka, lemon juice, horseradish, one plum tomato, salt, pepper, chives, and cracked peppercorn. To begin, combine two tablespoons of vodka, ½ teaspoon of lemon juice, ¼ teaspoon of horseradish, a pinch of hot pepper sauce if desired, a pinch of sugar, and a pinch of salt. Add chopped tomatoes and a tablespoon of chives. Next, wash the oysters thoroughly and twist off the upper shell with an oyster shucker. 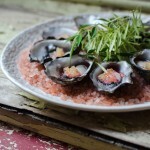 Separate the oysters from the bottom shell and allow them to sit loosely. Finally, spoon the vodka mixture over the top of the oysters and sprinkle them with cracked peppercorns. Serve on a bed of shaved ice to keep them fresh for your guests. 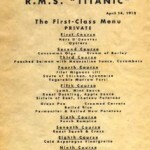 This dish, which was served to the first-class Titanic passengers only, makes for a unique alternative to turkey. You will probably have to increase the number of ducklings to accommodate your guests, but this shouldn’t be difficult. Besides the duckling, you will need thyme (1 tablespoon,) pepper (1/2 teaspoon,) salt (1/2 teaspoon,) chicken broth (1/2 cup,) apple cider (1/2 cup,) a small tart apple, shallots, (2) and brown sugar (1/2 cup). First, remove the giblets and neck from the ducklings before rinsing it. Then trim the fat at both ends. Combine the thyme, salt, and pepper, and gently rub the mixture over the duck. Core and quarter the apple and place it inside the duck’s cavity, along with the peeled and halved shallots. Secure the wing tips behind the back to keep the cavity closed. Next, put the duck breast side up on rack in a roasting pan. Preheat oven 425°F and roast the duck for 20 minutes. Cover the breast meat with foil, then reduce heat to 350°F: continue roasting for one hour. 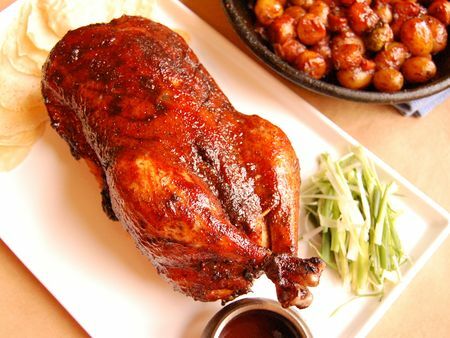 Prepare the glaze by using the drippings from the duck, the brown sugar, the chicken broth, and the cider, boiling until it reaches a syrupy texture. Glaze the duck with this mixture several times once you return it to the oven and roast for twenty minutes more at 425°F until the skin is well browned. 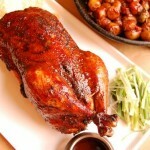 Tent the duck with foil and let it sit twenty minutes before serving. 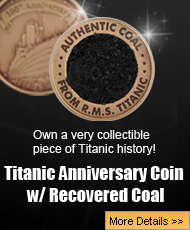 This tasty fruit-based treat is the perfect way to finish off your Titanic-themed Thanksgiving feast. You will need peeled, tart apples (2,) golden raisins, (1/2 cup,) lemon juice, (1 tablespoon,) crystalized ginger, (1 tablespoon,) butter, (1 tablespoon,) granulated sugar, (1/3 cup,) milk, (2 cups,) four beaten egg yolks, vanilla extract, (one teaspoon,) a pinch of nutmeg, and toasted walnut halves (1/4 cup). To begin, slice the apples thinly and add in the raisins, ginger, and lemon juice. Melt the butter in a saucepan, then add the apple mixture: cook for one minute and then add the sugar and stir until mixture is glazed. Set aside. Then, heat the milk in a saucepan to a very mild boil while whisking. Add a touch of milk to the egg yolks, mix, and then mix in vanilla, nutmeg, and remaining milk before you pour it over the apple glaze. Finally, set the baking dish inside a roasting pan. Add boiling water until it rises halfway up the sides of baking dish. 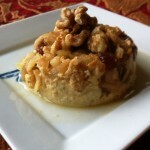 Bake at 325 °F for 50 minutes, then add the walnuts. Cool slightly and serve for a dessert your guests will talk about for weeks to come! Whether you are entertaining just a few guests for Thanksgiving or a boatload of diners, these Titanic-themed dishes are sure to create a dining experience that they will never forget. Bon appetit!